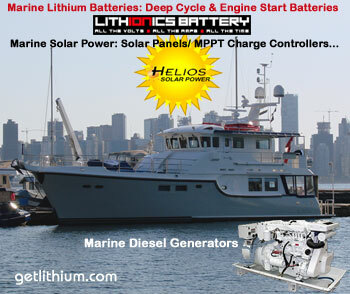 Many Mercedes/ Dodge Sprinter Van owners choose this 600 Amp hour lithium-ion battery for their van conversions, yacht or other applications. 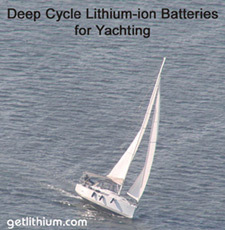 This lithium-ion battery is priced with the special DIN connector with 1 foot of cable. Please inform us of the intended orientation of the battery before ordering. 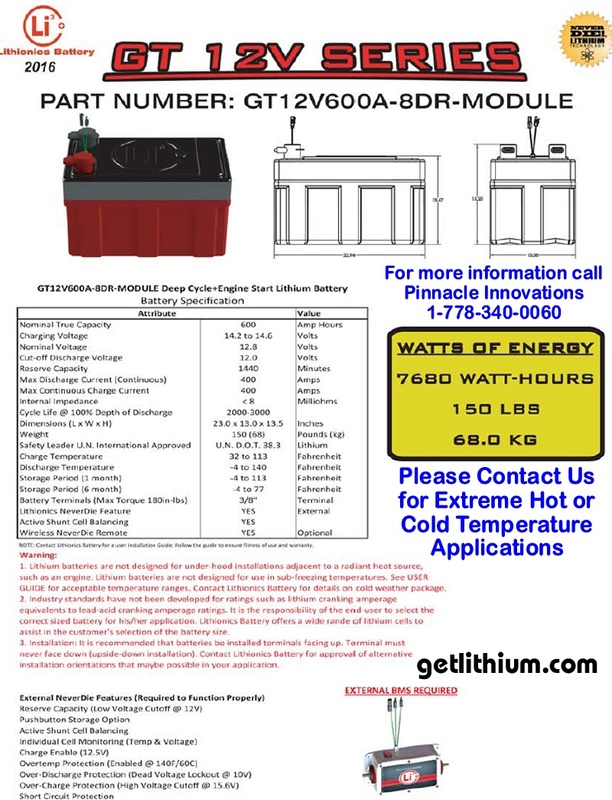 This Lithionics lithium-ion high performance battery is also available WITH 400 Amp NeverDie BMS built-in with the new Version 8 Advanced BMS with 8 pin Ampseal for $10,885.90 USD. 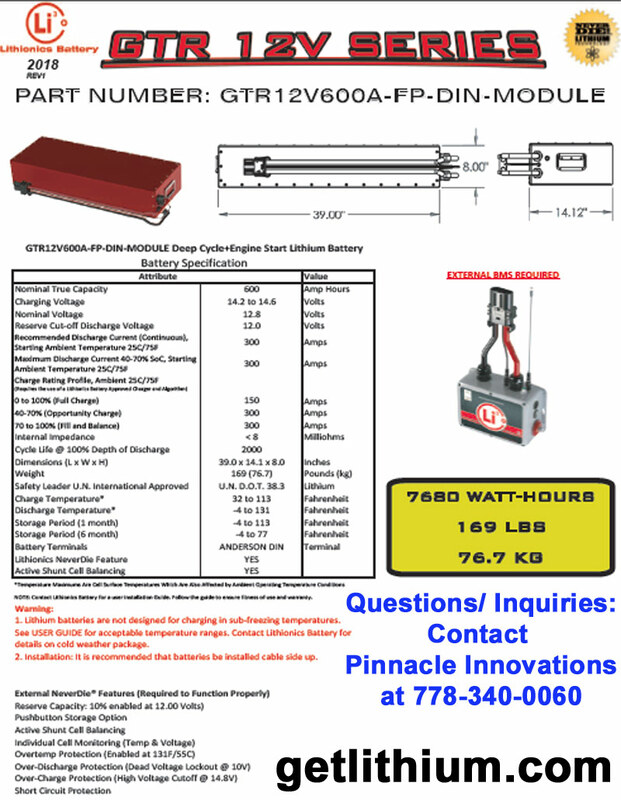 Use Part # GTR 12V600A-FP39-DIN-CTRL400-Amp8. This Lithionics lithium-ion high performance battery is also available WITH 400 Amp NeverDie BMS built-in with the new Version 8 Advanced BMS with 23 pin Ampseal for $11,260.09 USD. Use Part # GTR 12V600A-FP39-DIN-CTRL400-Amp23. This option also includes the sending unit for the SOC gauge option. 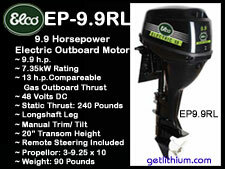 This lithium-ion battery is also available WITHOUT the NeverDie BMS in a standard 8DR case from $9,633.70 USD. This lithium-ion battery is priced with the special DIN connector with 1 foot of cable. 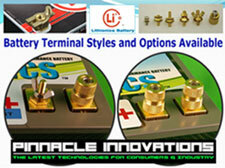 For some installations we can provide this battery with conventional stud post terminals. 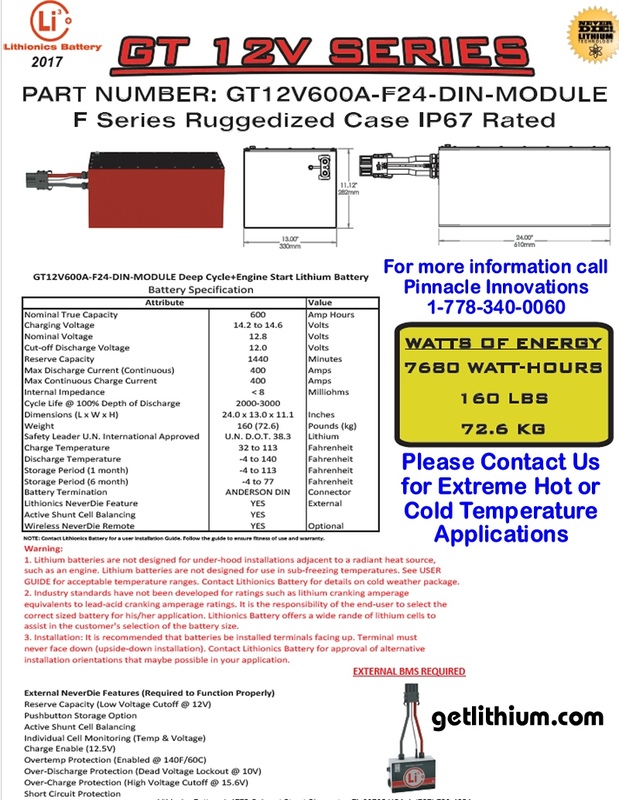 Click here for the spec sheet for the GT 12V 600A-8DR-Module in a new window. 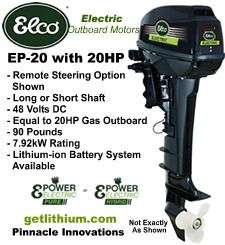 A great, lightweight lithium ion battery with 600 Lithium Amp Hours Reserve Capacity and 7,680 Total Watt Hours capacity. 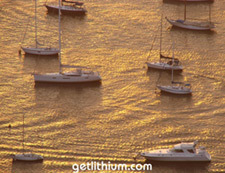 CTRL400 NeverDie means this lithium-ion battery is is available with internal 400 continuous Amps draw BMS. 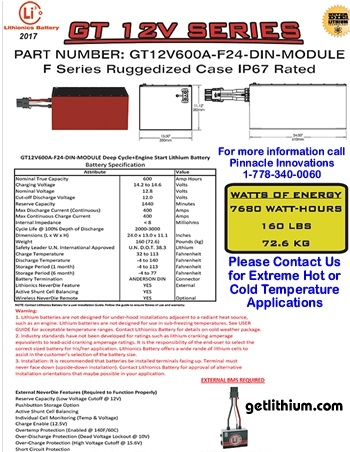 comes with 1 foot of cabling and connector - longer cable available at extra cost.